StratitudeGeneralStrategyBalancing paid, owned and earned media – are you getting it right? Is our owned, paid and earned media all aligned to give you the best possible return on your marketing spend? If you get it right, you combine your efforts to build your brand, emphasise the right message and drive customers down your sales funnel. But what exactly is “paid”, “owned” and “earned” media and what does it mean for your marketing strategy? Paid media is the more traditional forms of media advertising via print, TV, radio or outdoor. Nowadays it includes “paid search” as well as sponsored social media posts, direct mail and sponsorships. Owned media includes your company website, campaign microsite, blog, social media platforms – anything that you actually own and control. It is the cornerstone of your marketing and may include blog articles, infographics, presentations and videos you produce. Earned media is any positive sharing, reviews, testimonials, reposts, press coverage and brand mentions you get as a result of your marketing campaign. How do you balance all this to get the best possible results? Often, we see that these three channels are managed in silos. Companies have separate teams that manage digital, PR, events and advertising, or they even work with separate agencies to manage these campaign channels for them. A good example is where your PR agency arranges a radio interview for your spokesperson, but your social media team doesn’t want to tweet about the interview because it doesn’t fit in with their digital strategy. By not doing this you miss out on an opportunity to create a social media conversation about the topic that was discussed in the radio interview. Other examples are when your media team buys advertising without the PR team on hand to negotiate added value to get editorial coverage, or when your client service team receives an email from a happy customer, but your digital team misses the opportunity to convert this testimonial into a video. My point is that these three channels really can and should play together nicely. A strong marketing strategy requires you to think about how these three areas are distinct, but also how they integrate and when and where you should be cross-pollinating between channels. Owned media is the backbone of your marketing. By creating engaging and efficient channels, and posting fresh, relevant content, you keep your audience interested and returning for more. However, building up an audience of loyal followers takes time. Making use of paid media can speed up this process. Paid media allows you to target a more specific audience to view your content by boosting traffic, thereby reducing your waste and ensuring you get more qualified leads. 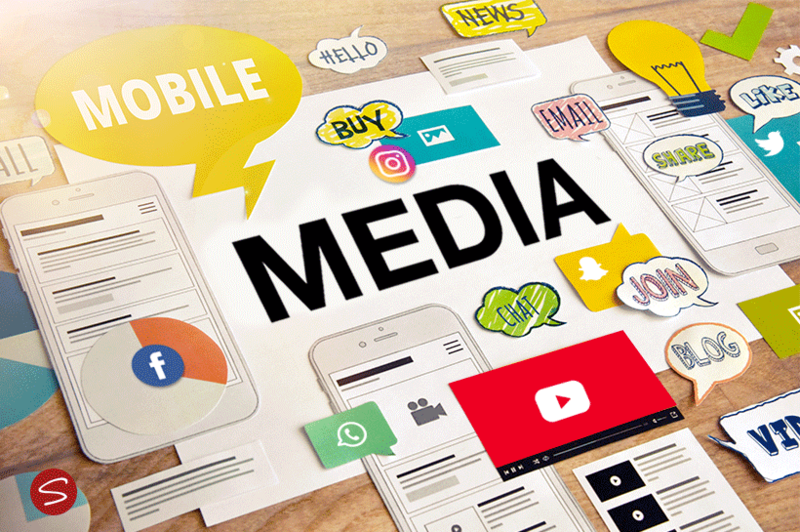 With paid media, not only can you communicate a consistent brand identity across all platforms, but you can also measure which channels perform best for your business over time – thereby informing your future spend. And then you get earned media, which really is the sweet spot you’re after. Earned media is how you get people to trust you, which is the Holy Grail for marketers. If you are trusted, you get recommended, and recommendations lead to direct sales. The numbers don’t lie – 92% of consumers look to referrals from people they know and 88% of consumers trust online reviews as much as personal recommendations. To summarise: OWNED media lets you manage the message and channels you distribute to your audiences; PAID media helps you to quickly grow and drive your engagement with audiences and EARNED media lets you maximise organic buzz, social engagement and public relations. To get this right, you must manage your marketing holistically by partnering with an integrated agency that puts strategy first and leverages omni-channel campaigns to help you get exceptional, measurable outcomes across all your media platforms.